Interest rates are on the way up in America, with financial markets in “risk-off” mode, nervously wondering just how much rates will rise. John Williams, recently appointed to head the New York Federal Reserve Bank (giving him a key role in the rate-setting Federal Open Market Committee in Washington), has offered his current view on an important factor in the deliberations: the “neutral” interest rate (also often referred to as the “natural” rate). Why is this rather obscure academic idea getting increasing attention? The neutral interest rate was described last year by then Federal Reserve Chair Janet Yellen as “the level that is neither expansionary nor contractionary and keeps the economy operating on an even keel”. But there is an important time dimension here: “neutral” in the current economy, buffeted by temporary shocks, will not be the same as “neutral” in the longer term, with these temporary influences absent. The short-term neutral rate provides policymakers with the benchmark for their decision: given the various constraints and cyclical pressures on the current economy (such as fiscal policy and financial “headwinds”), what policy rate would be neutral, not influencing the path of the economy? If the monetary authorities want to stimulate the economy, they should ensure that the current policy rate is clearly below the short-term neutral rate. The further below, the stronger the stimulus. it is the interest rate expected to prevail when the economy is at full strength. The current interest in this topic arises because many academic economists, and central bankers too, have come to the view that this long-term neutral rate has fallen substantially over recent decades, and is now very low. Williams argues that it is around 0.5% in real (inflation adjusted) terms, compared with earlier estimates of 2.5–3.0%. 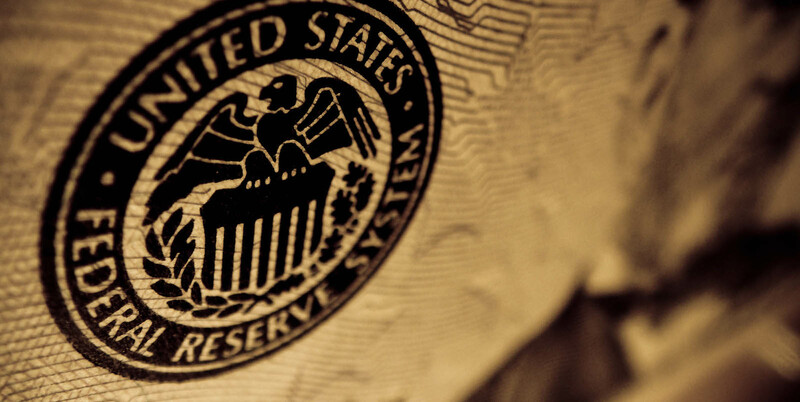 The consensus among the Federal Open Market Committee of the US Federal Reserve is 0.8%. Others argue that it is zero, or even negative. Important policy implications follow if these low estimates are correct. For a start, it would suggest that the task of monetary policy “normalisation” (Global monetary policy returning to “normality”) in America is not far from completed. The current policy rate is at 1.5–1.75%, only around 100 basis points from the neutral rate, adding back the inflation target of 2% to the estimates of the real neutral rate. More important in the longer term, if the nominal neutral rate is now around 2.5%, this leaves only modest room for the Federal Reserve to ease monetary policy later on if the economy weakens. In past cycles, the Fed has typically eased policy by 300–400 basis points or even more: the peak-to-trough fall after the 2007–08 crisis was from more than 5% to almost zero. Given that the policy rate can’t be set below zero, this implies only 250 basis points of potential stimulus from conventional monetary policy. This has led to a variety of suggestions. One is raising the inflation target so that the nominal neutral rate would be higher. Another is finding ways of setting the policy rate below zero (often teamed with a proposal to get rid of cash). Even another is the idea of replacing the inflation target with a price-level target. All these suggestions have serious drawbacks, discussed here. Drastic changes to monetary policy frameworks would seem premature. For starters, the estimates of a low neutral rate are based on data from the past few decades. In this abnormal period, inflation-adjusted bond yields fell from the highs of the Volcker anti-inflation period of the 1980s to the lows of the longest recession since the 1930s, from 2008–09, with policy interest rates near zero and quantitative easing depressing bond yields. A more normal economy may see a return to a somewhat higher neutral rate. In any case, these proposed responses don’t address the deeper issue: what caused the neutral rate to fall? Williams and others argue that the low rate reflects excessive global savings (the demographics of ageing populations), low productivity, and slow economic growth. All these factors are seen as being permanent, pointing to secular stagnation. But this seems counter-intuitive. An interest rate this low would seem to provide many opportunities for funding profitable investment, especially as company profits have been historically high. It’s a reminder of American economist Paul Samuelson pointing out that if interest rates were low enough, it would be profitable to flatten the Rockies to reduce transport costs. If America can’t find viable projects, there are many opportunities in emerging economies. So why has investment been generally weak? The recovery after 2007–08 in America and Europe was feeble, held back by strong headwinds in the crisis-damaged financial sector, over-leveraged borrowers, and misguided fiscal austerity. Companies have been slow to adjust their investment hurdle rates to take account of lower inflation. Technology has also changed the nature of many businesses, with the tech firms enjoying network monopoly profits, making them disinclined to expand capacity. Exaggerated risk perceptions by investors and lenders could explain much of the puzzling gap between low interest rates and high profits. None of this would justify routinely setting monetary policy at negative real rates. Instead, the challenge is to identify what has gone wrong with firms’ investment decision-making to leave such a gap between the return to savers and the return to investment.